Experiments in Black and White by Neville Gabie was WOMAD World of Art's 2014 commission. The work was an exploration of four materials – ice, chalk, oil and air. During the festival the project included a daily performance-drawing with a huge chalk boulder; outdoor screenings of five films featuring the artist working with each of ice, chalk and oil in arduous, physical performances; and Collective Breath. 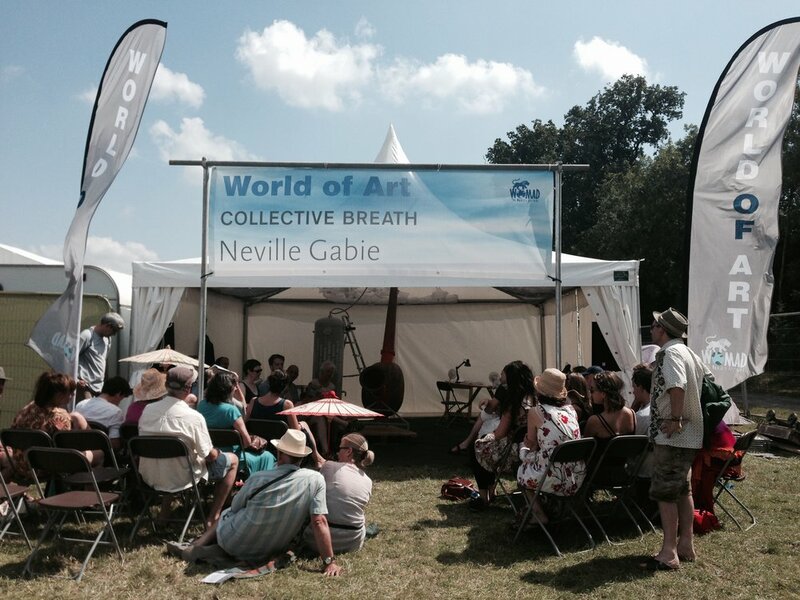 Inspired by his residency at the Cabot Institute University of Bristol, Neville devised a system for collecting breath from 1,111 festival goers. The breath from each bespoke bag was transferred into a pressurised container, where it would later be released through a specially made sound instrument. 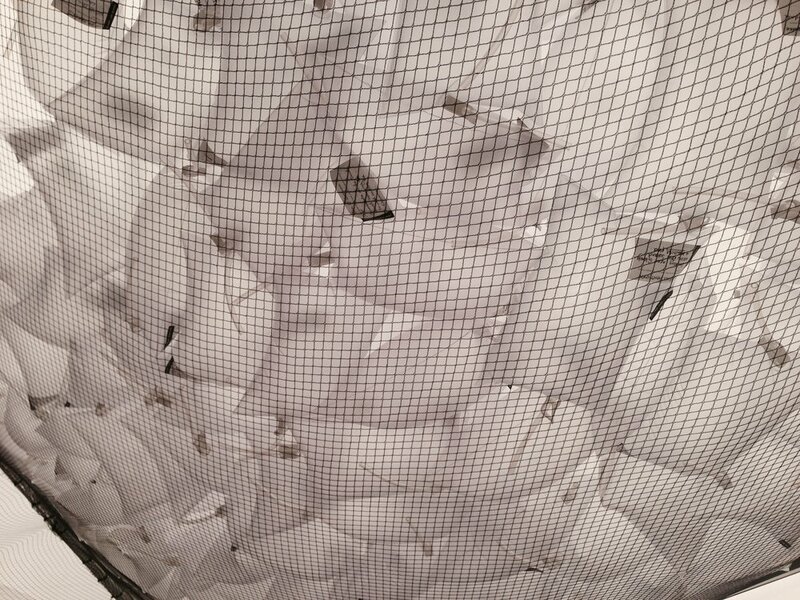 Participants made suggestions for where the 'collective breath' should be released. 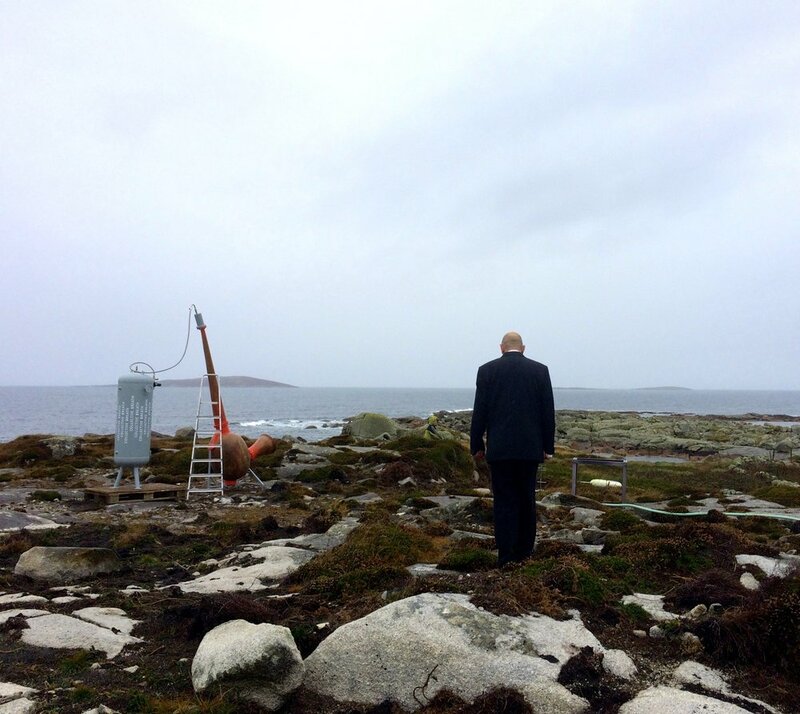 Following the festival the artist travelled to one of the suggested locations, the Mace Head Observatory on the West Coast of Ireland. The release of the air through the sound instrument was filmed, and postcards with a photographic record of the event and a link to the film were posted to all contributors.